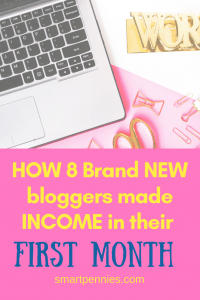 How 8 bloggers made money in their FIRST month blogging if you want to know more you are going to have to read on! 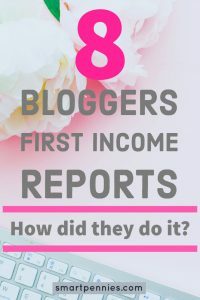 Are you ready to see Income reports: how 8 bloggers made money in their FIRST-month blogging? 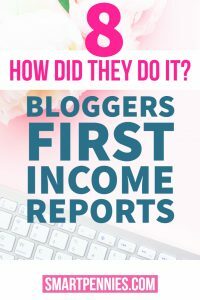 This post is a round of post on new Bloggers how much they made in their initial income reports and how they did it! Now don’t get down not everyone makes money after the first month and they may not go on to make money consistently after their first month this is just a snapshot of what can be achieved! So far I haven’t been as lucky with earning income or traffic in comparison with these guys. I have reorganized my blog and made it more focused so hopefully, it will be easier to navigate for you guys. 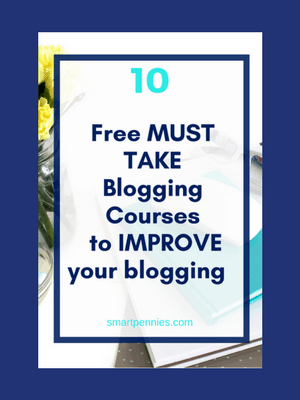 I have also decided that I need education for my blogging so I have invested heavily in blogging courses on all aspects of blogging if you want to know more about the courses I have taken and fancy investing in them yourself then check out both my posts on FREE and PAID course see the links below to check them out. How to start a blog if you think you want to after reading this post! 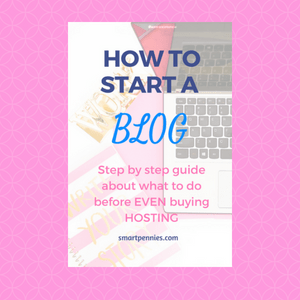 So after you have read this post and then feel inspired to start a blog check out my post on how to start a blog it gives you insight into what you need to do before you even buy hosting and also has a quick video on using Siteground. The post will answer questions you have on using Siteground and why you should choose them over other providers. These are bloggers that have NOT had a blog before-As far as I can tell from their websites. 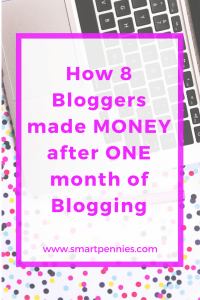 how 8 bloggers made money in their FIRST month blogging…. Sammy is a UK based blogger who started her blog in June 2017 and you can read her income reports here. Firstly her page views were nearly 700 with a bounce rate of 65% approximately in the first month. Sammy had 10 posts up and running at the time of her income report. With her top post being a list of Ultimate freebies for bloggers. She adds lots of additional information, for instance, she had direct traffic and social media traffic as her main source. It was interesting to see that she was using Facebook promos as her main traffic driver for social media. TOP TIP here sending out information to big bloggers can help increase your site’s profile if they share your content. She also ended up getting an interview with the Flourishing freelancer. Reach out to big bloggers AS YOU NEVER KNOW WHAT WILL HAPPEN! Add that to the list another thing to do! Set up your email list asap she already had 62 subscribers by her first month! Sammy also made Affiliate Income with Siteground this is who I use as a hosting company too! 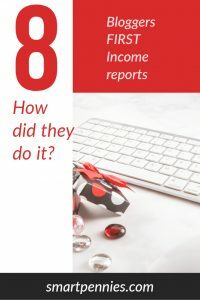 – Her income report is great because she actually tells you how she has done it. another one was she assumes directly through the post. Reach out to bigger bloggers in your niche and send them one of your great posts which include links to their site. 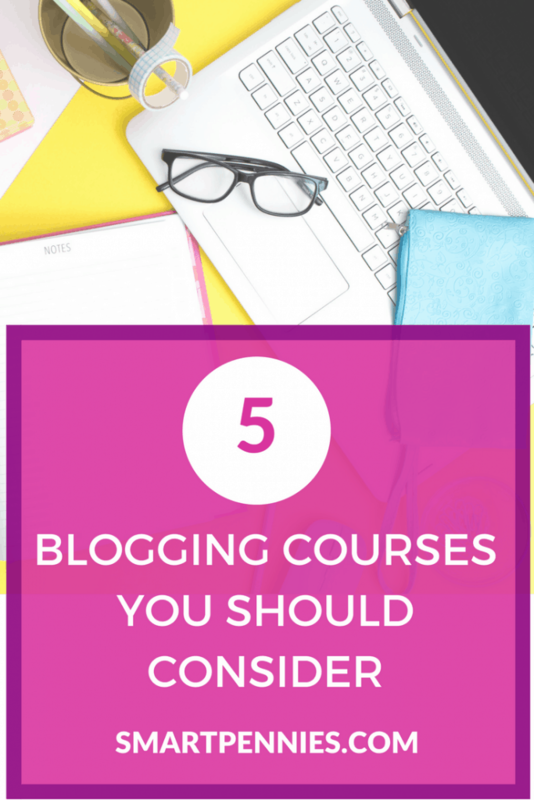 “So in terms of your question; the one thing I wish I had done differently in my first month of blogging would probably be to have invested in a comprehensive blogging course. Had I done that when I first started blogging I think I would have reached the point I’m at now about six months ago!!! 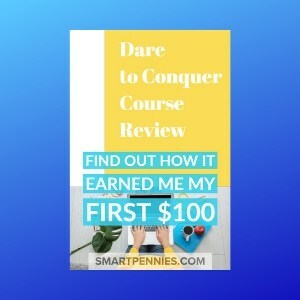 My advice would be to look for a course or membership that includes how to set up your blog, creating content that people actually want to read, email marketing, blog monetization, a good Pinterest strategy and SEO. Realistically you will probably have to buy a few other courses in some more advanced techniques but this will really help you hit the ground running and I so wish I had done this! Stephanie started her blog in April 2017. At the end of her first month, she had Page views up to 1117. And she already had an opt-in going so managed to get 23 subscribers how cool is that!! Stephanie already had an Instagram account going before she started her blog and it had the most followers she also used Pinterest, Twitter, and Facebook. Her Income was $36 for April by sharing a link in one of the facebook groups she was a member of. Top tip – Facebook groups are a nice way to get your message out and helping out folks in return. Join Facebook groups help folks out and if you can add an affiliate link or link to one of your posts then go for it. If you want to find out more about Billionaire Blog club and sign up for Paul’s 12 days of blogging FREE challenge to get an idea of how he writes and teaches then find out more about BBC here. And to make things different it was how to lose money your first month -$128.38. I wanted to include this because it’s not necessary that you will make money your first month and not to get discouraged! Page views were 173 for the first month – wow that’s great! Carl had 11 blog posts published for this month. Blogging about blogging, Jesus, Dobermans, Money saving and more. LeeAnn managed to make $179 in her first month. Looking at her Income report see started her site in July 2017. Her income came from – $179.37 from Ads- using Google Adsense and Affiliate income. 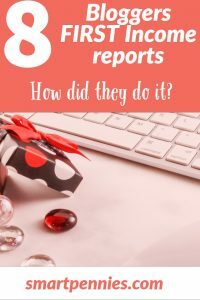 Delving into her income reports – in July LeeAnn had 2255 page views. She is using Facebook, Pinterest, and Twitter as social network- and also using auto schedulers for her social media. Most of her conversions for Affiliate sales comes from Pinterest. Use more than just Pinterest for social media. Bria is based in South Korea. She had an Eye watering 2194 page views wow in here first month! With only 4 blog posts!!!! If your content is great and RELEVANT to solving peoples problems you will get traffic. Two posts were about how to become an English teacher in Korea. And these were the driving force for her blog. Top tip – great content can get great views if you know what people want the answers to!! She also got to guest interview with FTFinancials about working in Korea. Income was generated through her post on starting a blog using Siteground. If you are interested in finding more out about Siteground then check out their website here. Bria’s traffic generation is from Pinterest using Tailwind as pin schedulers. Along with joining group boards. Interestingly she also uses Instagram and Facebook with a few ads thrown in. Question is should you start with one Social media platform or a few? First-month income report link here. This blog is about a month newer than this blog and Erin managed to make $140 dollars her first month. Her page views were approx. 1.7k. She used Facebook groups and Pinterest to generate traffic. How did she make her income – using GoogleAdsense and as an affiliate for bluehost. Lori started from ground zero and managed to make money which should give you a boost. It doesn’t matter where you start you can still earn money! First income report can be found here. Lori’s pageviews were 823 with 13 blog posts with Pinterest followers 25. Her income was total of $9.03 half from Ads using Google Adsense and rest from Affiliate for Survey Junkie in her first month. Lori used Pinterest to generate traffic and looking at her stats on her income report she did really well! Blog from Jen and Madi – mother and daughter. They managed to make $38 for the month with 10,000 pageviews for the full first month of October 2017. Social media included Facebook, Instagram and Pinterest. It’s interesting that Jen works +30 hours on her blog with help from Madi her daughter and helps give a reference to how long people work on their blogs vs their results she also had 34 blog posts on the blog before she started. Top tip from Jen- is making sure your pins are engaging and convert to page views! As well as joining Tailwind Tribes – note Board booster does have tribes as well. Income was from you guessed it Google Adsense $37.21 – Jen mentions that if you have 1000 pageviews then this will be a good channel to start off with if you want Ad Revenue and Shareasale $0.97. What is the one thing you wish you did differently in your first month as a blogger? For their hints and tips from their first-month blogging. To the newbie bloggers listed above if my conclusions were inaccurate. I have tried to be as impartial as possible and any mistakes made are mine alone. The more time you can spend creating content and working on your blog will increase your pageviews although it’s not all about page views! You REALLY do need an opt-in even starting out- you can check mine out below. NOT EVERYBODY’S blog is the same!!! You can still make money from your blog even if you are starting EVERYTHING including social media channels from zero. This is a great post, thanks very much for sharing it! I really like your summary points on the need to spend enough time when creating your content, and to create content that is super relevant and actually helps people solve problems. I couldn’t agree with these more. You also mentioned about never giving up, and I think this is super important. So many bloggers give up too soon, not realizing that every blogger goes through tough times and that one of the main factors in success is persistence. There’s an excellent TED Talk by Richard St. John (It’s called ‘8 Secrets of Success’) that your audience will love if they’re interested in knowing what it takes to build a successful blog from a mindset perspective. The first so-called secret is passion, but the other seven are just as critical, so it’s having a quick search for it on Google or YouTube to check it out. Hi Jonathan, thanks for your comments appreciate it.